Our resident psychologist ponders how to thrive in this high-pressure life. 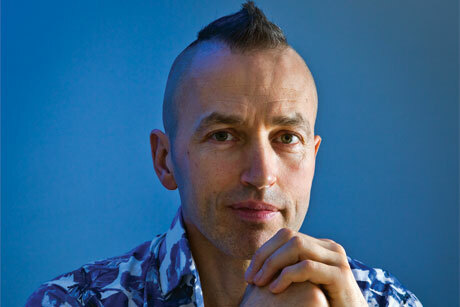 Dr Nick Baylis: "Dare to ask yourself: what’s the next thing that can kill me (in one sense or another)?" "A funny thing happened on my way to space: I learned how to live better and more happily here on Earth. Over time, I learned how to anticipate problems in order to prevent them, and how to respond effectively in critical situations. I learned how to neutralise fear, how to stay focused and how to succeed. We’re trained to look on the dark side and to imagine the worst things that could possibly happen." Words from Commander Chris Hadfield’s delightfully inspiring memoir, An Astronaut’s Guide to Life on Earth, in which this farm-raised 54-year-old gently illustrates the perspectives hard earned in a 35-year life of being up in the air in all sorts of ways. He wed his teenage sweetheart, Helene; she bore three children in quick succession, and the couple are still together 35 years on. At the office, Hadfield was first an Air Force fighter pilot, then a test pilot – and eventually a Canadian astronaut rocketing off three times to log some 167 days in space. He served as commander for 25 of NASA’s Shuttle launches from Houston, director of NASA’s operations in Russia and head of the International Space Station (ISS). As well as being the embodiment of all things James T. Kirk, the YouTube recording of Hadfield singing David Bowie’s Space Oddity on an acoustic guitar while floating around the ISS has won some 20 million hits. George Clooney’s character in Gravity could have taken classes in cool from this fella. We might usefully ponder at this point why we’re fed so much media drivel about celebrity chefs and yet have heard nothing until now about such universal wonders as Hadfield gladly imparts. Who’s cooking the news agenda? Here’s a smattering of the book’s philosophies to launch your own explorations into his writings and impressive YouTube appearances. Strive to find meaning and joy in the everyday, rather than holding your breath hoping that some grand end goal will make the odds all even. Don’t let your sense of identity and success be dependent upon final outcomes, but instead figure out how to celebrate the day-to-day stuff. For example, Hadfield feels sure his life would have been equally enjoyable had he simply stayed in the Air Force or branched out to become a university professor. It wasn’t being an astronaut in space that made life so satisfying for Hadfield; it was his underlying approach to each day that made all the difference. Because it’s no good thinking only your biggest and shiniest public moments count – they happen far too rarely. You have to work out how to savour the small, everyday stuff that no one knows about but you. That way you relish ten wins a day, rather than one win every ten years. Don’t fall into lazy, head-in-the-sand optimism, but dare instead to ask yourself: what’s the next thing that can kill me (in one sense or another)? This can prompt better preparation for every conceivable eventuality, which means not just rehearsing yourself to a level of thorough competency, but also practising being versatile enough to improvise in the face of novel and unforeseen issues. Learn to enjoy constantly acquiring new ‘know-how’ (the foreign language, the technical skill, the leadership experience), accepting that the process will only be satisfying to do exactly because it’s so damn hard; and realising that building a facility for tenacious learning is never wasted. Work the problem. Like a poet of the Great War, Hadfield has managed to channel the extraordinary perspectives he has encountered, and to share them through beautiful expression. His every reader has a treat in store.